Back to School: Eye Exams vital to a child’s success. Pencils – check. Paper – check. New clothes – check. It’s almost time for Okotoks and area children to get back to the books, and parents are working through those back to school checklists. 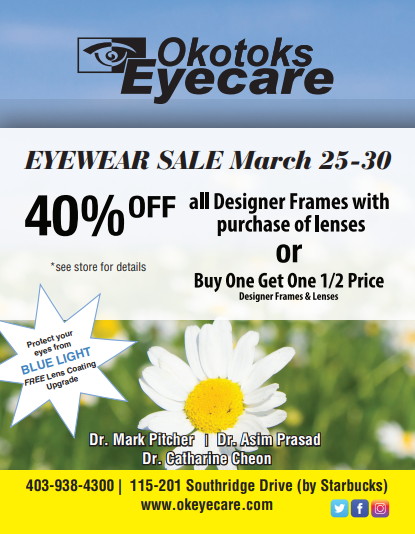 best optical 2017 We would like to thank the patients of Okotoks Eyecare for their continued support, and for voting us The Best Optical/Optician - Gold in the 2017 Best of the Foothills Awards!